I got a call from a lighting company. The company made custom overhead light assemblies, used mostly for hospitals. 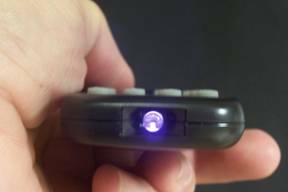 One of the accessories the company offered with their lights was a hand held infrared remote. 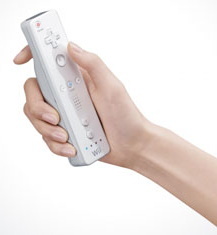 The user could point the remote at a light receiver built into the toggle switch panel and control the lights. The company had been buying these simple remotes from the same company for many years without problems. Now, they were starting to get complaints from their customers about the remote. The users noticed that the distance the remote operated when aimed at the wall-mounted receiver was far shorter than previous models. In some cases, the user had to be within just a few feet of the receiver before the lights could be turned on, off or dimmed. The lighting company conducted some of their own tests and came to the same conclusion. What was going on with these units? The company sent me a few new remotes and one older unit. They also sent me a light receiver module circuit, which fit inside a custom wall switch with a sliding dimmer control. I opened up one of the new units and also one of the old remotes sent to me. Both units looked absolutely identical. Every single part inside looked the same. I probed around with my scope and found the 40KHz LED drive signal. That also looked the same on both units. I switched my attention to the receiver module. Both remote units performed about the same at close range but when the new unit was moved 5 feet away, the received signal became noisy. The old unit worked well out to 25+ feet. What was the difference? 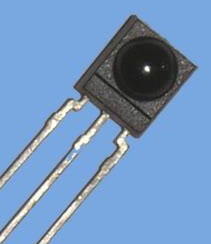 I used a photodiode, with a 100 ohm load resistor as crude light intensity sensor and held the device directly in front of the infrared LED of the two units. I then connected the my scope probe across the resistor. The older unit measured a bit more light but there was not enough of a difference between the two to account for the lack of range. The position of the LED die within the T 1 ¾ clear epoxy package was very much the same between the two units. This meant that the light beam pattern would be much the same too. So, what was the difference? I suspected it was the LED but what was different about it? 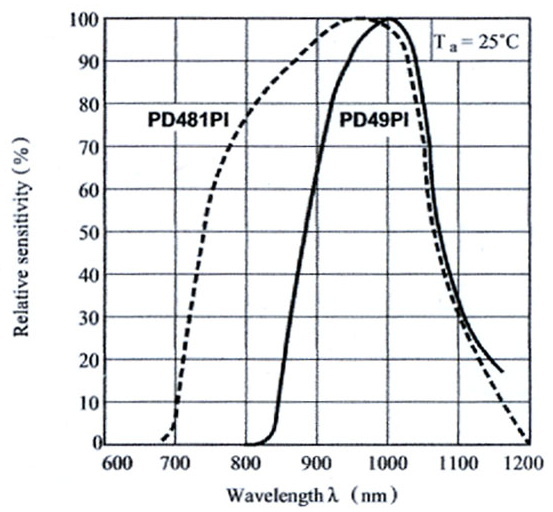 Most remote infrared receiver modules use a daylight filter dye in their package. Many cut off light shorter than about 750nm. But, some of the filters in other receiver modules are much more aggressive about filtering out ambient light than others. As the right side curve shows above, in many infrared remote receivers, virtually all the light below 900nm is cut off. To make it through the filter, infrared LEDs would need to have a wavelength longer than 900nm.950nm to 980nm were typically used. I removed the LED installed in one of new remote units and replaced it with a LED, known to have a wavelength of 950nm. When I measured the maximum range to the light receiver module, the distance was now nearly 30 feet. Bingo! The manufacturer of the remote must have switched their LEDs from 950nm to 850nm. That does not sound like much, but with the sharp cutoff daylight filter of the receiver module, it made a big difference. I sent my report to the company who in turn communicated my findings and recommended LED part number to the remote manufacturer. Within a week, replacement remotes started coming in and where quickly sent out to the users in the field. 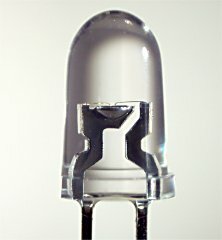 One quick way to note if the LED is emitting 850nm Vs 950nm is to look at the light from an active LED in a dark room. In most cases, you will be able to see a dull red glow from the 850nm part and not see any light from the 950nm device.